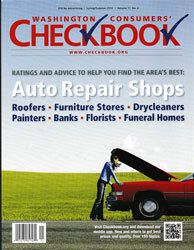 See our coupon page for important additional information on redemption. 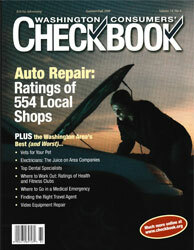 Checkbook Magazine annually evaluates over 500 area auto shops for quality and price, based on more than 19,000 ratings, surveying consumers, consumer-agency complaint records and more than 2,000 price checks and other sources. 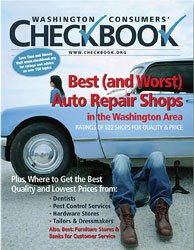 In their most recent survey, we again received Checkbook's Top Rating for Quality, and a Price Comparision of 100. 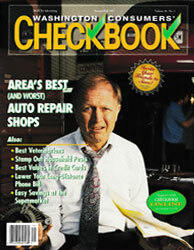 We have continuously received Checkbook Magazine's Top Rating for Quality for over 30 years. Come in and see why.